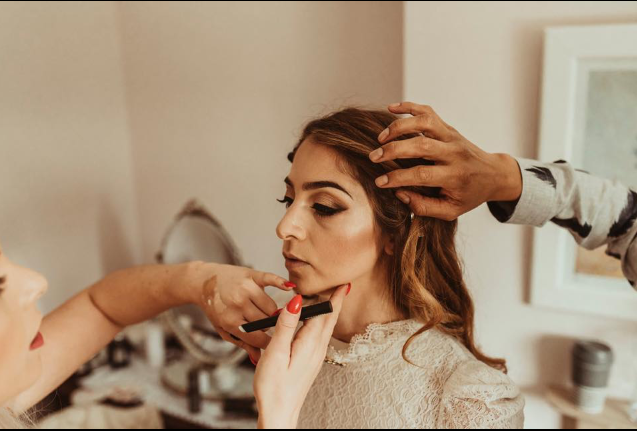 Sabrina offers a number of makeup services including bridal parties, event makeup, lessons, and pro makeup courses/classes. Sabrina uses high-quality quality professional products that are going to get the very best result. When you are with Sabrina, your experience will be tailored to your exact needs. Anything from soft and natural to full on glam can be achieved - along with everything in between. After qualifying at Cambridge Regional College in Fashion and Photographic Makeup, Sabrina was successful in her application for her dream job as a makeup artist a MAC Cosmetics in Selfridges, Oxford Street, London. Here is where she gained most of her experience working with different skin tones and cultural makeup styles. Here she passed her certification to enable her to conduct full makeup appointments on clients. During this time she also began her freelance career in London aside working at MAC. After 2 years at Selfridges Sabrina moved back to Cambridge to embark on the next stage of her career at MAC Cosmetics Cambridge. Here she worked in many management positions including the store manager whilst continuing to grow her freelance career. After 7 years of working at Mac Cosmetics Sabrina decided to focus more of her time on her freelance work. In March 2017, Sabrina opened her very own studio room in Fordham, Cambridgeshire. This is located in a charming Edwardian building set in acres of manicured lawn. Parking is plentiful around the building. Enjoy admiring the beautiful view around the studio room whilst relaxing and having your makeup done by a professional. Whether it’s a special occasion, your bridal trial, your prom, a night out, or just an excuse to get glammed up, you are more than welcome to The Studio. If you're ready to book a session or still have a few unanswered questions, please get in touch!